Seat cushion for VELA Samba 410 in size small (W:44xD:33cm). The seat cushion is smaller than the standard one and is recommended for the smaller figure and people weighing under 65 kg. The seat cushion has the same ergonomic and exercise functions as the standard seat cushion. 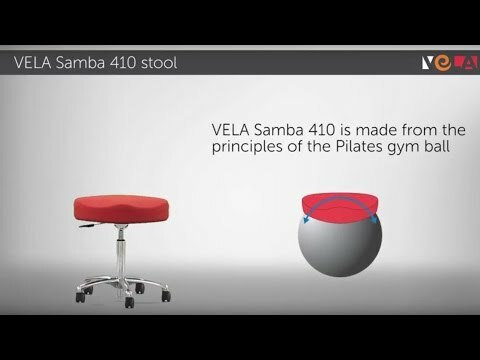 The 410 seat (B:47xL:36 cm) makes it possible to train the back, lower back and abdomen while sitting. It activates the body’s balance and thereby the muscles and joints in the back and abdomen. Also it helps in achieving a more open, active sitting posture.